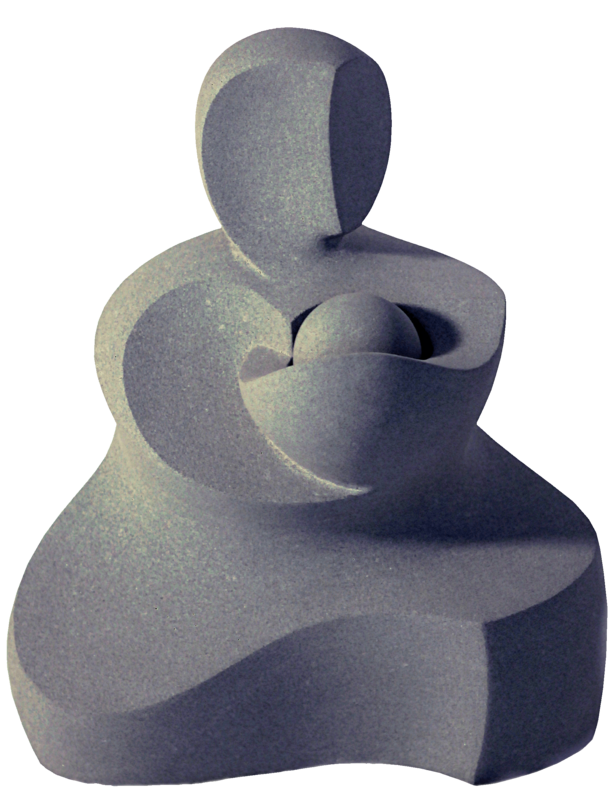 Sferico "The creation" 42cm sandstone - The shape is of the consistency of cloud in continuous becoming but at the same time caught at it’s perfect moment. If most of the surfaces are hollow, the creative gesture is marked by a strong convexity, while the line of the head centred on the sphere denotes the intuition of God. Over millions of years the unfathomable has shaped the cosmos to the human plan. And if all creation were His heart?